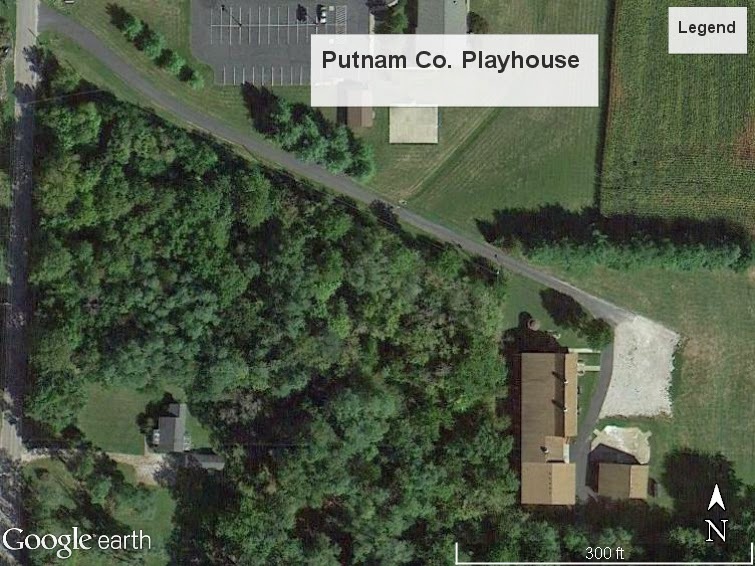 Putnam County Playhouse: View From the Sky! Just in case you ever wondered.....here is a satellite photo of the Hazel Day Longden Theatre with the shop area and Rehearsal Center clearly in view. The small barn and parking areas are also visible. The driveway to Round Barn Road is in the center of the picture. Come and get a closer view this summer!